I am extremely proud to be a Head of School at Epsom and Ewell High. It has been an important constant within my life, and it is an honour to be able to call myself a Head of School. 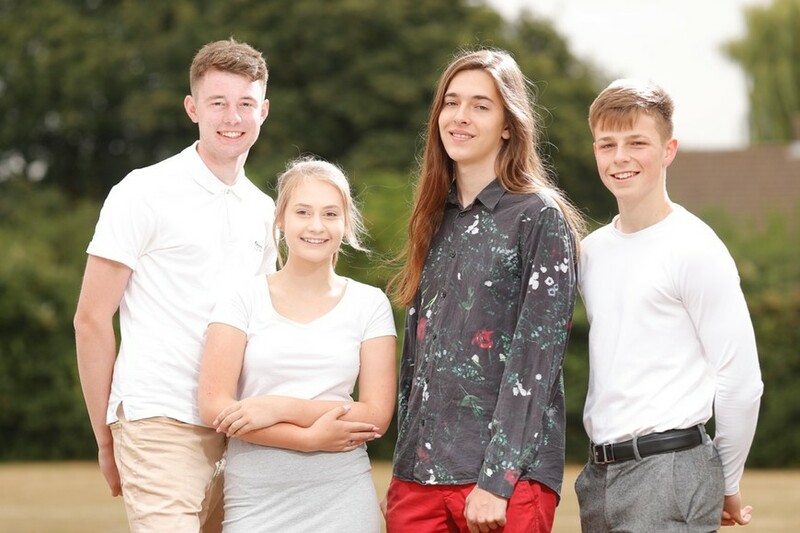 When joining the Sixth Form, I felt a complete support system from my teachers and fellow peers, which allowed me to enjoy my first year, and also gain the necessary help if I needed it. Despite the aid that I sometimes received, there was also a sense of freedom and independence that came with the step that was made between Year 11 and 12, and I often cherished and enjoyed this. It is a friendly and fun environment, that everyone feels included and a part of. The school has also helped me discover my love for Modern History and has allowed me to pursue a career within this subject in the future, after attending University. I would thoroughly recommend Epsom and Ewell as a school and sixth form, and hope to see many students attend both, and enjoy their years as much as I have. Being a part of our Sixth Form Leadership Team is such an honour and I am inspired by everyone I work alongside. Our sixth form is such a prosperous and uplifting environment that I love being involved in every day and I am overjoyed to have the chance to be a Head of School. The school provides me with so many opportunities that have really set me up for my future. I have high aspirations to study Chemistry at University and with the support from the amazing staff and students here, I feel re-assured that I can exceed beyond what I ever would’ve dreamed. Epsom and Ewell is such a warming and comforting environment that is suited to any and every individual in order to develop all the necessary skills needed for life whilst also developing their own personalities too. The school itself cannot be praised enough and I am so proud to recommend Epsom and Ewell as an amazing secondary school and Sixth form too. Being Deputy Head of School is a wonderful privilege and I am proud to have such an important role in the amazing community at Epsom and Ewell. I feel a strong desire to help make the students here feel comfortable and supported. I am currently studying Biology, English Literature and Fine art; a wide range of subjects to give me a broader understanding of my interests and provide me with a variety of skills that can be applied generally. My dream is to study fine art and to pursue a career in the creative industry, working freelance and in artistic environments. The sense of community and friendship at Epsom and Ewell is second to none, where teachers have a really good understanding of each individual and are so encouraging towards students in following their aspirations and goals. I have really enjoyed the friends and people I have met over the years who I have experienced so many great memories with and am sure will be with me throughout my life. Many fantastic opportunities have been provided to me and aided my choices for later life. I am so grateful to all the help and support I have received at Epsom and Ewell, it is such a brilliant environment to study in and to discover your own passions and ideas. It has been a fantastic learning experience academically and personally and I feel confident in myself and my ambitions. My name is Andrew Grimshaw and I have been a student at Epsom and Ewell since Year 7. I can honestly say it is an absolute pleasure to represent the school and be part of the Head of School team. I’m incredibly proud to represent a school that has impacted my life so much. I currently study French, Business studies and Psychology and I truly believe it was a brilliant decision because the lessons are so engaging and interesting it makes it easier to retain what you’ve learnt and progress your knowledge. Sixth form at Epsom and Ewell gives you the freedom to work when you wish and have a sense of independence but never losing the support you had throughout your lower school life. I have an amazing relationship with all of my teachers and I firmly believe that it is the staff here at Epsom and Ewell that really made journey the best it could have been My aspirations are to go to university and study psychology with business and continue into the business industry from there. At Epsom and Ewell I have had a range of opportunities to progress skills through engaging enrichment sessions every week and opportunities to publically speak through the prefect team. I would highly recommend Sixth Form to anyone considering joining us at Epsom and Ewell; I can assure you that you will be welcomed and thrive in the positive and productive environment we have here at Epsom and Ewell.